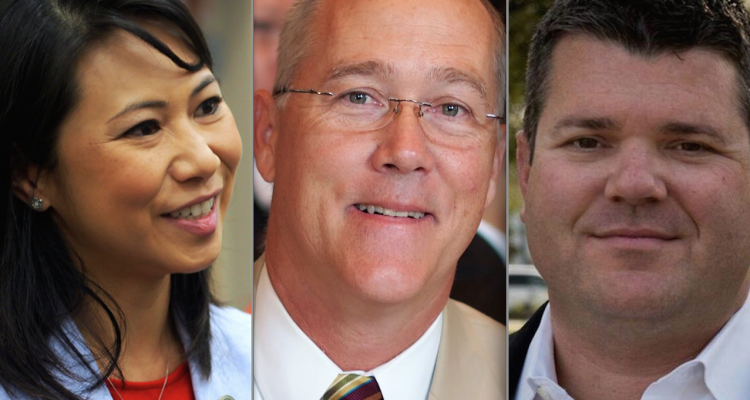 In 2016, millions of dollars from out-of-state political action committees poured into Florida’s 7th Congressional District race in the closing weeks. This year, long before those PACs weigh in, out-of-state interest is already fueling campaigns. 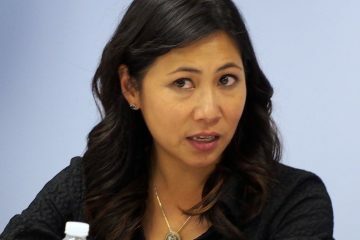 Like most incumbent members of Congress, Democratic U.S. Rep. Stephanie Murphy already is finding love for her re-election from California to New York, with more than half of her campaign’s money coming from outside Florida, through the first quarter of 2018. 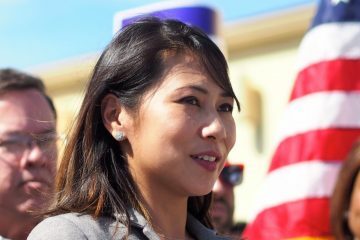 For the most part, her challengers in CD 7, four Republicans and a Democrat, are getting some fundraising calls answered outside of Florida, though leading Republicans Scott Sturgill and state Rep. Mike Miller are getting nearly 90 percent of their cash from inside the Sunshine State. The national flow of money has become more sophisticated in recent cycles as candidates in swing districts can count on national organization targeting certain congressional races to steer money from all over their way. Murphy has been the beneficiary of several such organizations, including ActBlue, Emily’s List, and the New Democratic Coalition. Because small donations need not be itemized, much of the money cannot be publicly traced to Florida or any other state, so the out-of-state numbers might be even higher than reported here. For example, $178,000 of Murphy’s campaign donations came in small, unitemized amounts. — At least 63 percent of the $1.77 million that Murphy’s campaign has raised has come from out of state. It includes $763,174 in political action committee money, making up the vast majority of the PAC money she has received; plus $362,439 in itemized contributions from individuals, making up about half of those itemized personal contributions. Murphy’s favorite locales outside of Florida for individual donations start New York, from where she has received 93 individual contributions totaling $85,297; California, 108 checks totaling $69,628; and Texas, 42 checks, totaling $48,578. — Just under 13 percent of Sturgill’s money is identified as coming from outside of Florida. That goes up to 18 percent if the $150,250 he lent to his campaign is not included in the totals. 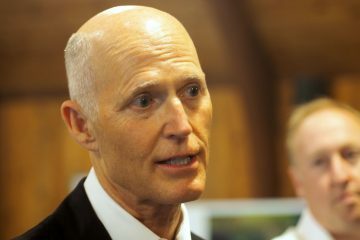 He has received at least $59,900 from out-of-state individuals, and another $6,000 from PACs outside of Florida. Sturgill’s favorite places for campaign money outside of Florida appear to be Texas, where his campaign has itemized ten personal checks totaling $13,100; New York, three checks for $7,400; and Colorado, four for $6,400. Miller’s favorite other locations include Virginia, from where he itemized six checks for $7,250; Washington D.C., six for $6,439; and Georgia, three for $3,050. Murphy’s Democrat primary challenger Chardo Richardson has collected $5,189 in 17 itemized checks from outside Florida, plus $676 in in-kind contributions, which combine to represent about 23 percent of the $25,826 total his campaign has reported receiving. All the rest of the money his campaign collected had come in donations too small to have to be itemized; consequently, his campaign has not yet listed a single contribution from inside of Florida. Republican Vennia Francois had only been in the contest a few weeks when the filing deadline came. She started with at least 27 percent of her initial campaign money coming from outside of Florida, $4,208 itemized in nine checks from outside Florida, of the $15,579 her campaign collected. Republican Patrick Weingart has not reported any campaign finance activity.